Sorry for the delayed update, I was traveling for work an d paused my Plated shipments. Happy to be back in the kitchen cooking! Have you ever had just a magical weekend with your loved one(s)? That’s what I had with my husband this past Valentine’s Day weekend. We cooked together, watched Game of Thrones together, and laughed (a lot) together, and just enjoyed each others company. 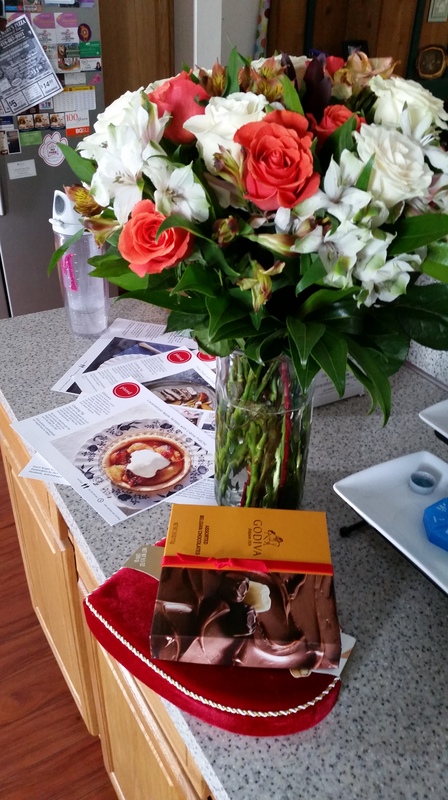 He also got me these flowers. 🙂 You can see all of my Plated recipe cards in the back! The front is a Caramel Apple Tart dessert, which I haven’t made yet. 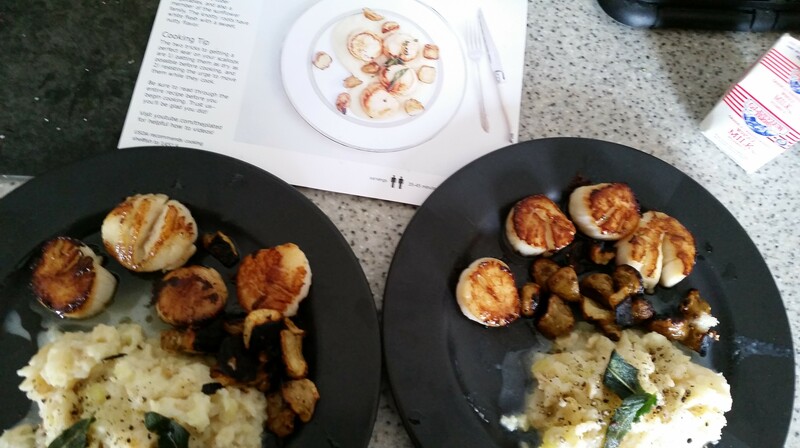 Anyways, we also made Plated’s Brown Butter-Seared Scallops with Root Vegetable Puree. It was a pricier selection, $30 a plate, but we chose to coo k this together instead of going out for Valentine’s Day. This meal said it would 35-45 minutes. My husband helped the whole time and it took us 41. We were really impressed with the quality of the scallops. 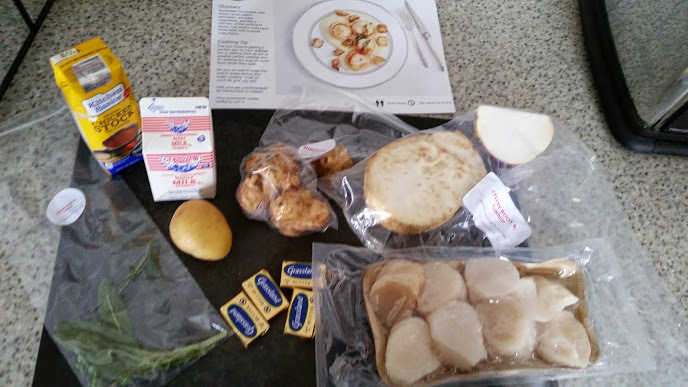 It’s hard to find fresh, non-frozen scallops in Toledo, OH this time of year. Hubby has mad knife skills, so he did all the peeling and chopping, and also made the root puree, while I focused on the scallops. The root puree was delicious, I don’t believe I’ve ever had celery root before, and it tasted like mashed potatoes. I liked the texture, but my husband would have preferred to use a mixer to smooth out more of the lumps. I like lumpy mashed potatoes, because the lumps mean they were homemade! But that’s just me. 🙂 It was also a little runny, we were given a container of milk and told to use half, and I accidentally poured too much. I’ve also never had roasted sunchokes before, which I forgot about in the oven and burnt a little, but they were still tasty. Overall, this was one of our favorite Plated meals. It was very expensive, but worth it for a special occasion meal.